I'm really excited to share with you today's guest. I met Danielle via various blog hops, and have enjoyed reading her blog posts. Danielle writes from a very personal aspect, but her story draws you in. I'm sure you will enjoy this blog post as much as I have. My name is Danielle (Perillo) Hughes. I am a 38-year-old mother of one 11-year-old boy and a wife-to-be. I am a full-time student going for my paralegal degree and then eventually to law school. I’m trying to show my son the value of an education and that is never too late. Originally from Philadelphia, PA, we moved to the Austin, TX area in January 2014 for a better life. I am a personal blogger. I write about my addiction. I am a recovering addict who struggles everyday with the disease of addiction. Take a minute to follow Danielle on her blogs and on her social media. It would mean a lot to both of us! Hello everyone! My name is Danielle and I suffer from the disease of addiction. The most painful thing about having this disease is that it never goes away. It’s a battle that I have to live with for the rest of my life. But, I am not alone in this nor am I afraid! One of my favorite artists, Eminem, suffers right along with me. I feel connected to him through his music. To some he may be very offensive. But to understand where Eminem gets his lyrics from, all of the drugs and violence he raps about, you have to understand his past and where he came from. His lyrics are his life. 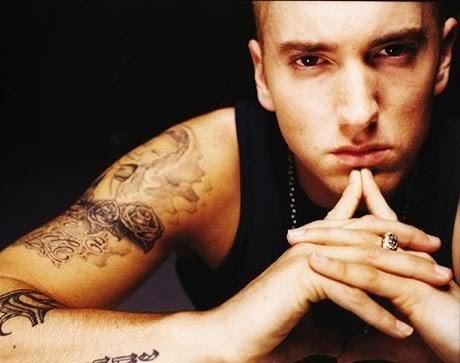 Eminem’s real name is Marshall Bruce Mathers, III. Marshall came from a broken home. His father abandoned him and his mother when he was just a baby. He moved over 20 times while he was a child. Every 2 to 3 months he would be in a new school. When they finally settled into a housing project in Detroit he was bullied everyday by an older student. His beatings were so brutal that once he wound up in a coma for 4 days. After coming out of the coma, he had to relearn basic motor functions. His home life was awful. His mother drank and did drugs and her boyfriends were abusive. In 1988 his mother, Debbie, took in a homeless 13-year-old girl, Kim Scott, who was dropped off at the welfare office where Debbie worked at when Marshall was an early teen himself. At age 14 the two wound up in a relationship. His mother instantly kicked Kim out and Marshall went too. He would go on to move in and out of his mother’s house many times over the next few years. Marshall’s mother was very abusive and he had found the same person in Kim. His whole life was engulfed by violence, drugs, and abuse. 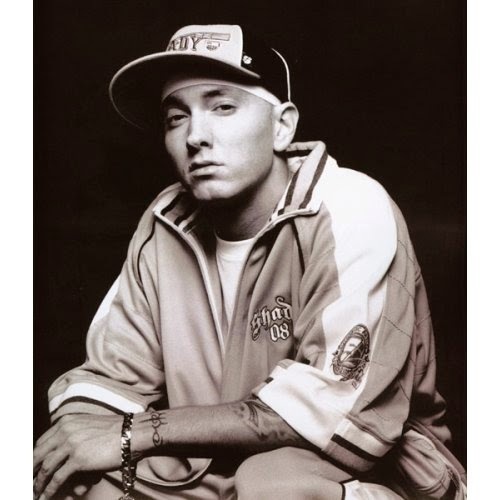 When Marshall was around 17, he used to make tapes in the basement of his mother’s home with his new found friend “Proof”. His very first tape of himself that he tried to sell was called Backstabber. It was a bust. It wasn’t until his second recording, Infinite that anyone really listened to him. Dr. Dre got a hold of the tape and signed him with Aftermath Records. All a while Marshall was suffering from addiction. In 1999, they released Slim Shady LP. His song, “My Name Is”, from the album, talks about doing drugs. One line says “I just found out that my mom does more dope than I do”. 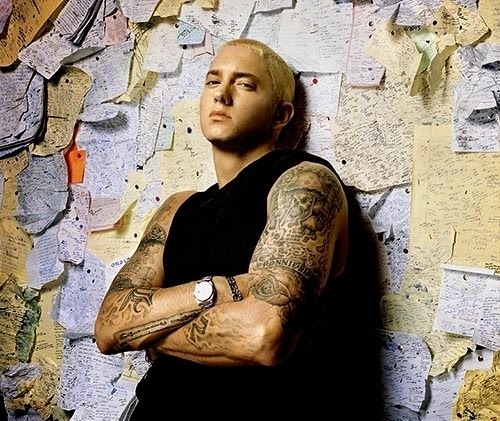 On a recording of a live concert Eminem states, “This is the intermission where I change, do some more drugs, and then come back out,” He was always very open about his drug use. In an interview with Howard Stern he admits to being heavy into ecstasy. It wasn’t until December of 2007 that Eminem overdosed on methadone pills and decided to get clean. He released his albums, Relapse in 2009 and Recovery in 2010. These lyrics are me. I had to go to all of those dark places as an addict to get to this life. One full of love, hope, and aspirations. He came from nothing and went to the top. From owning his own record label, to his single “Lose Yourself” winning an Oscar, to his album Encore going 5X platinum, and all of the Billboard, Grammy, and American Music Awards in between. He is truly an inspiration, not just to addicts, but to everyone! If you truly put your mind to it, you can achieve anything! What is something you’ve accomplished against all odds? I hope that you enjoyed today's Guest post. Be sure to give Danielle a visit on her blogs and social medias.